Sam: The last thing you want to be is cooped up with 12 Norwegian guys. A pointless retread, cleverly disguised as a prequel to John Carpenter’s 1982 horror classic. Sure it is set before the events of the previous ‘Thing’, but this film so wishes to be just like its predecessor, it’s just too bad no one wanted to concentrate on a decent script or finding what it takes to recreate the sense of dread and paranoia that made that film so rewarding. I could try to be less harsh with this movie, but what is the point? I did not enjoy it, found many problems throughout, and have very little praise to give to it. I guess I’ll keep going, but the gist of this thing is that anyone unfamiliar with the previous version of The Thing should go seek that film out right away and avoid this film. The Thing is set in 1982 Antarctica, at a Norwegian research station. During one expedition out in the snow, a group of the Norwegians stumble upon a large spacecraft buried under the ice and determine that it has been there for nearly 100,000 years. Along with the spacecraft, the men find a creature frozen in the ice nearby. The head medical officer, Dr. Sander Halversen (Ulrich Thomsen) soon travels back to America in order to recruit a paleontologist to properly assist in what could be the otherworldly discovery of a life time. This paleontologist is Dr. Kate Lloyd (Mary Elizabeth Winstead), who agrees to head down to Antarctica. Kate is joined by Adam (Eric Christian Olsen), an American research assistant, and flown down by two American helicopter pilots, Sam Carter (Joel Edgerton) and Derek Jameson (Adewale Akinnuoye-Agbaje). Once down in Antarctica with the various other Norwegian members of the team, Kate and Sander begin work excavating the creature from the ice, with plans to bring it back, in its frozen state, to the country. The taking of a tissue sample seems to revive the creature, as it soon escapes its icy hibernation. Things get much deadlier, as the creature at first lurks around the station, only to have the characters soon realize that it is actually lurking around from within them, literally. It turns out that this thing can replicate people, who generally don’t find out until it’s too late. This creates a sense of paranoia about who to trust and severely limits the options of survival for all. Despite the chronology and a slightly new location, this movie is very much a retread of the 1982 version, a “premake” if you will. It is not because of this that I did not like the film. It is because the script is poorly handled, the characters are poorly handled, and the effects work is, in my eyes, poorly handled. 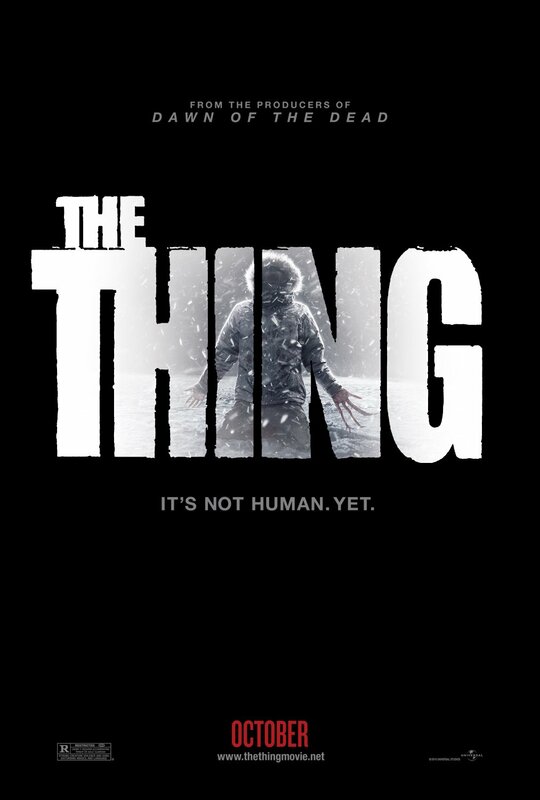 While this update of The Thing is very much in love with its predecessor and does a wonderful job from a production design standpoint to echo that sentiment, so much of this film is out of wack, which makes it very unfortunate that more was not done to make this feel like proper and more interesting prequel. There are many elements of subtlety, cold, brewing tension, and a clever sense of mystery that all felt missing in this film. Not knowing which of the crew was in fact an imitation provided for a lot of the tension in the previous story, but in this film, you have very little time to go with that notion. Instead, we find out which characters are what in fairly quick succession, eliminating much of the most interesting aspects of this story. It also did not help that once exposed, the thing made itself a presence in full monster form for a large chunk of time, as opposed to converting back to a human form or something smaller. This brings me to the effects work. While, once again, the 1982 ‘Thing’ was renowned for its use of graphically awesome visual effects achieved through practical means, this update has a lot of CG in use. I would not be so annoyed with this if it looked good, but beyond some neat facial morphing effects, the look of the creature in its various forms was more distracting than scary. Sure things get graphic, but the forms it would take on were so over-the-top that they bordered on laughable at times and removed any sort of tension needed to emphasize its deadliness. The cast in this film was decent in a sense. I was amused with the idea of bringing in a female lead to properly distinguish this film from one that involves Kurt Russell being at his best. Winstead does what she can and manages to avoid having to wear glasses in order to justify being a scientist, but she sure does seem young to be the specialist called in to go to Antarctica. 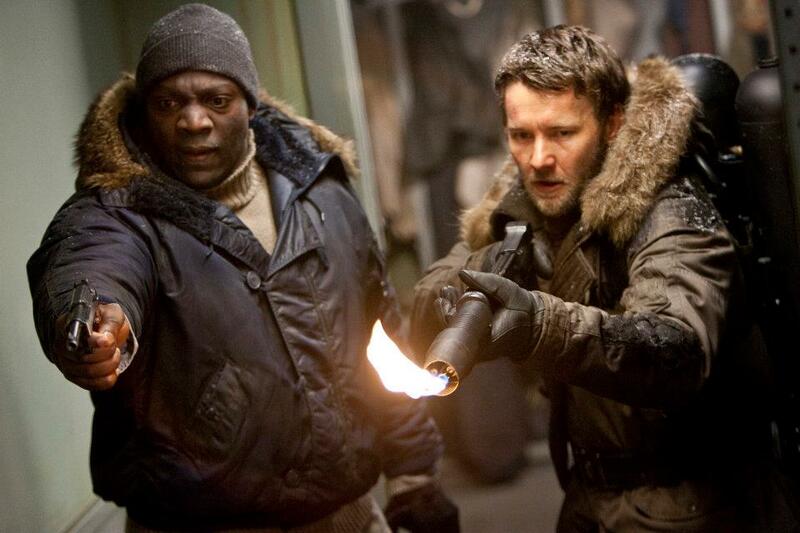 Edgerton is the closest this film comes to having a Russell-like character, but despite his handiness with an axe and a flamethrower, he gets little to do to really make himself standout. The same can be said about all of the characters in this film, who are all pretty one-note, with the small exception of the character Lars, who is quite important in the long scheme of things. I have referenced the previous version of The Thing throughout this review because it just felt necessary. I can judge a film on its own merit and not think about the material it was inspired by or adapted from, but the problem is that this movie so desperately wants to be like that film. Director Matthijs van Heijningen Jr. and screenwriter Eric Heisserer clearly love that film, but they have done little to create something that feels fresh on its own or clever in any way. As it stands, this is a sub-par alien thriller that has a poor use of logic, bloody but ridiculous creature effects, and a lack of tension, with only the association to a known property to have it try and feel like something significant. Unfortunately it doesn’t, as The Thing left me feeling like one of those characters in Antarctica – cold and miserable. Dr. Kate Lloyd: We can’t let this thing escape. I gave it 3 out of 5 stars. It did a pretty good job of explaining questions I had about the 1982 version. One question I'd like to ask "What happened to Kate?" She wasn't an alien or she wouldn't have killed the guy that was with her at the spacecraft. And if she made it to an outpost and told people about her encounter, then why wasn't the place crawling with scientist when Kurt Russels team goes to check it out? What questions from the 82 version? You could pretty much piece together everything seen in that film without having this new one. This felt so much like a cash in that just went for putting together parts from the 82 film to justify it. And in regards to Kate: the 82 version only took place the next day on, so presumably Kate was still out there and not enough time had passed for others to come back to the Norwegian outpost. This could lead to some other movie that combines both Kurt Russell's character and Kate, but since I already hated this movie, I wouldn't want to see that at all really.